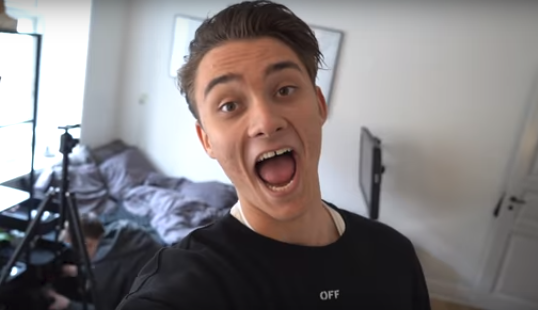 Denmark is not immune to YouTube and the lucrative potential of building advertising campaigns around influencers – the stars whose channels are watched by hundreds of thousands of children on the platform every week, and the bloggers and Instagrammers whose advice causes stampedes at the shopping centres. Two-thirds of children aged 7 to 12 watch videos on YouTube every day, reports DR, while Kristine Sloth, one of the country’s most followed Instagrammers, can potentially hit 40 percent of all 18 to 24-year-old women with an average reach of 28 percent. It’s no wonder that traditional advertising is dying out fast. DR has taken note, and this week it has unleashed a flurry of stories examining the phenomenon, which has become really big business for YouTube stars such as Alexander Husum, Rasmus Brohave, Morten Münster, Armin, Kristine Sloth and Julia Sofia. “Influencers have a higher degree of credibility than traditional advertising,” Morten Saxnæs, the head of social & brand activation at Advertising Agency & Co, told DR.
Increasingly YouTubers are employing marketing managers to maximise their potential, and over ten companies have been launched in the last five years to cater to the demand, such as Splay, Gonzo Media and Hippo, while long-established agencies such as Egmont and Aller are now entering the market. Gonzo Media, which has doubled or tripled its revenue every year since launching in 2014, is expecting a turnover of 25-30 million kroner this year. “We hit over one million unique viewers a month on our platforms, and the majority are between 10 and 25 years old,” chief executive Martin Wiinholt told DR.
Jan Trzaskowski, a professor of marketing law at Copenhagen Business School, questions whether “it is appropriate for companies to use young, inexperienced influencers to talk about their products”. And concerns have been expressed over the way the advertising is presented. However, most adhere to the strict guidelines and make it clear when it is an advert. “The viewers tend to know that someone is trying to sell them something, but they are just happy that the YouTubers are making money,” said Wiinholt. “The youngsters today have a completely different relationship to advertising than their parents’ generation,” enthused Splay’s country manager Adrian Langer to DR.
And the generational shift is evident in the youngsters’ tastes, although parents shouldn’t be too alarmed, as the YouTubers are this generation’s rock stars, claims media researcher Stine Liv Johansen. “Parents are inclined to wrinkle their nose, cross their arms and raise an eyebrow when they consider their children’s social media usage,” she told DR.